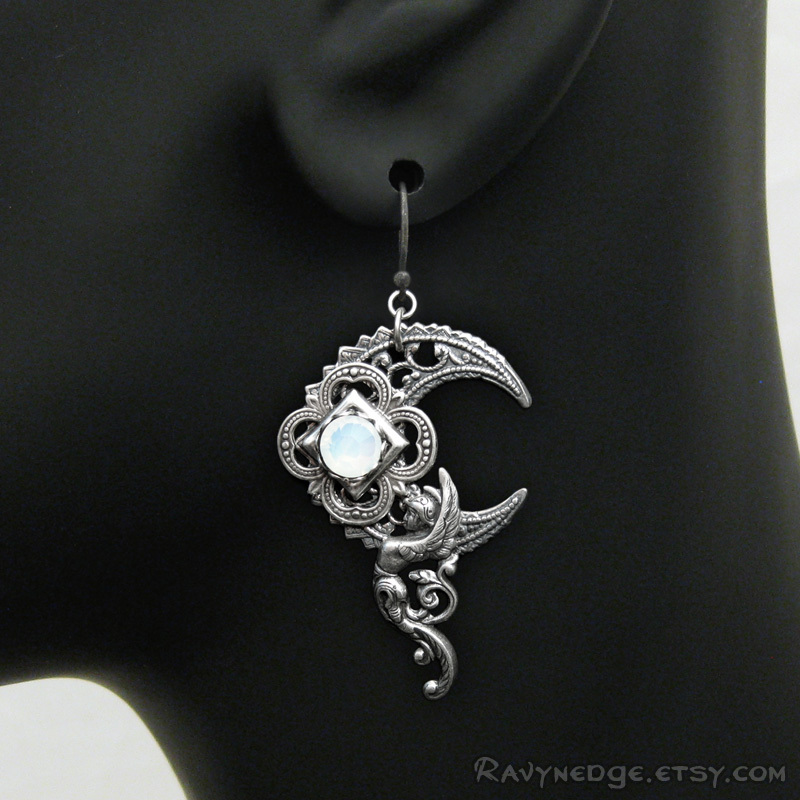 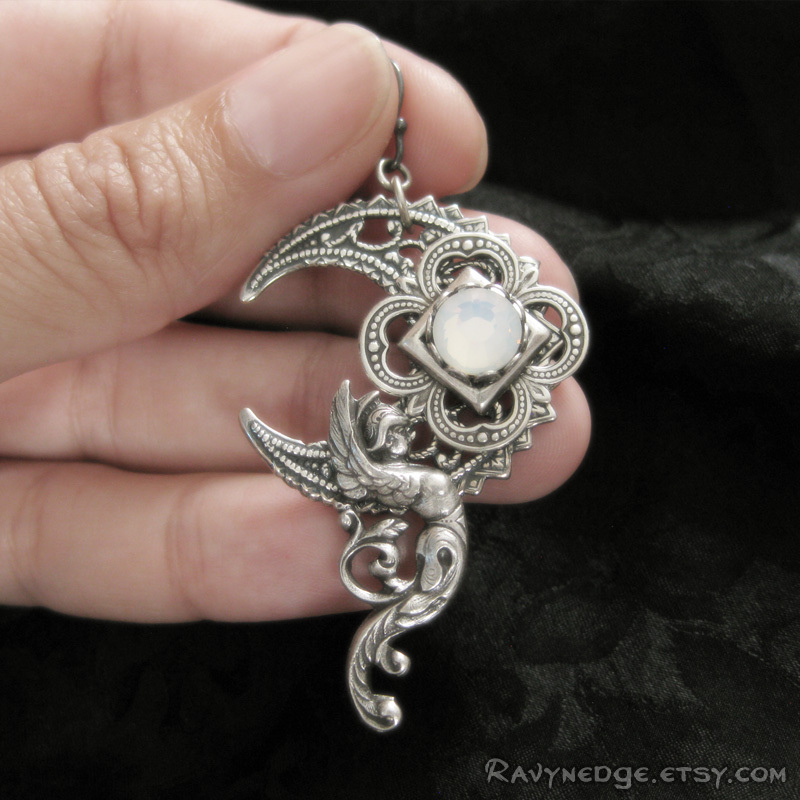 Moongoddess Earrings - White Opal Swarovski and Silver Filigree Dangle Earrings by RavynEdge. 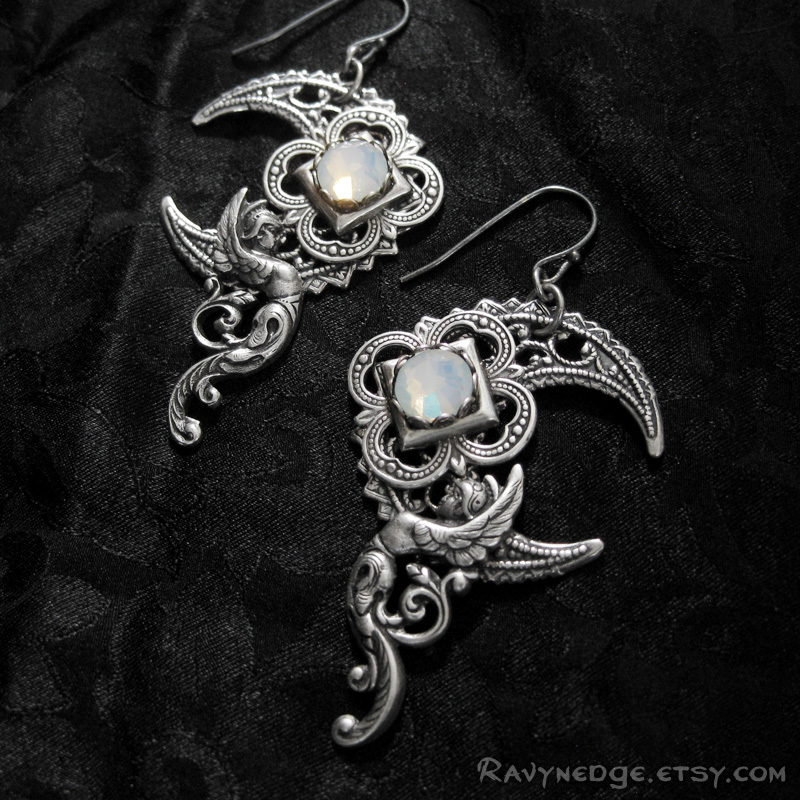 Spectacular earrings featuring a crescent moon and winged goddess accented with a white opal Swarovski crystal that is remeniscent of moonstone. 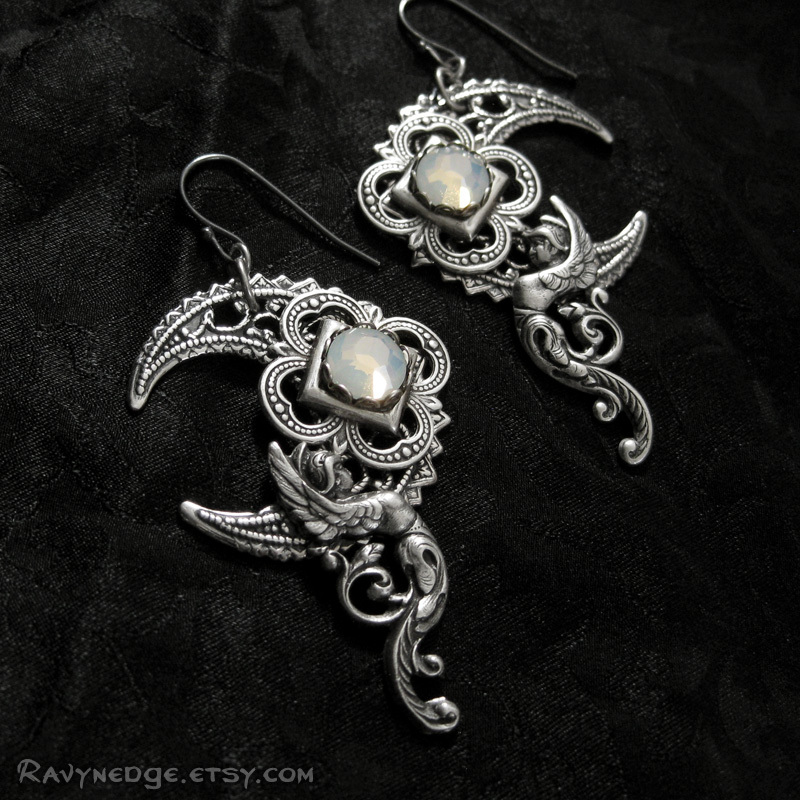 Measures appropriately 2.3 inches (58mm) from the top of the lever back earwire. 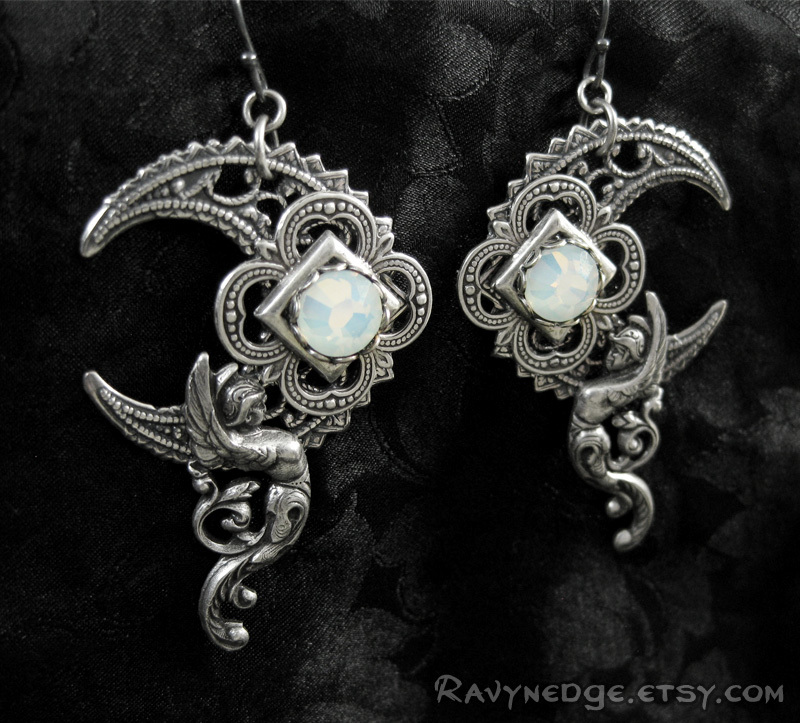 They are lightweight for their size.